The iDivert softkey will automatically redirect an incoming call to voicemail. Diverting an Incoming Call: Incoming calls will enable the iDivert softkey. 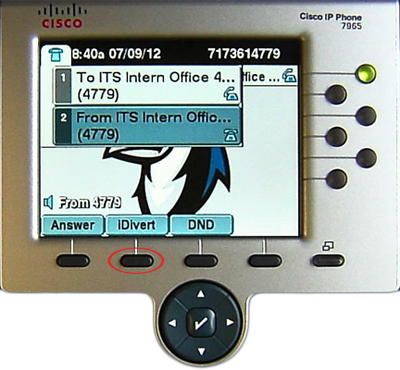 To automatically redirect the incoming call to voicemail, press the iDivert softkey.